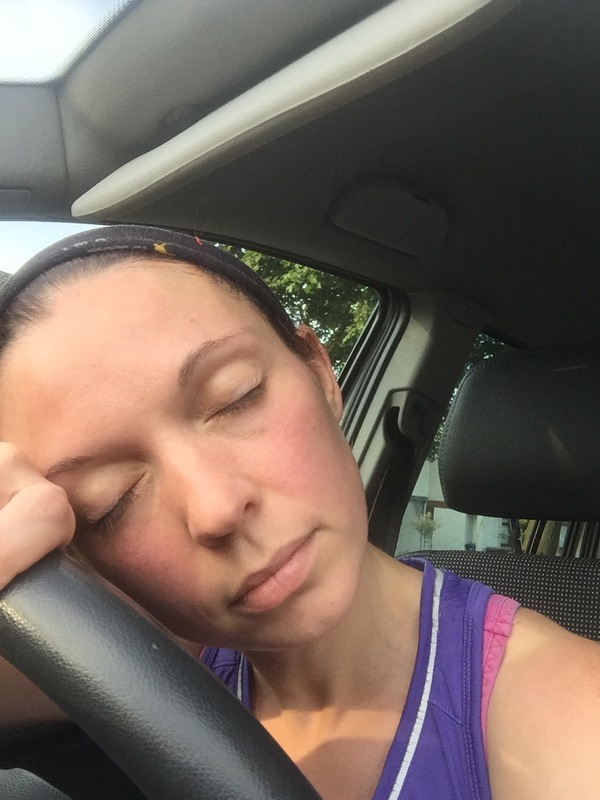 The Hills are Alive – but I’m Dying! So I finally got up the courage to go and check out the local road runners. Only took a few months of back and forward and a few debates on tri vs running (we won’t mention the tears, pretty sure I’ve covered them in previous posts!). 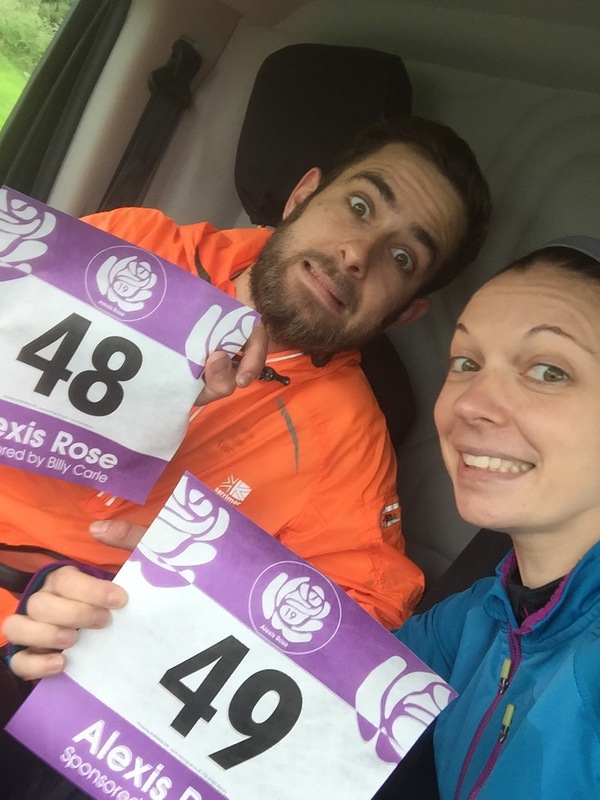 After my first failed attempt of going down I arranged to meet a women I met through the Alexis Rose Trail Race there. Not believing I would actually do it I went for my usual run at lunch time that day too. This left me with slightly tired legs but not too bad. Anyway, I headed down not too sure what to expect. Fiona spotted me and introduced me to a few people, none of whom I can remember the names of as my stomach was in absolute turmoil. I was put in a group based on my park run time and when it hit half past off we went. They explained the route briefly and the first half of it is one I do on a regular basis so I was very comfortable knowing where I was going. We then went through tracks I haven’t been since I was really a little girl! I say really because even now I’m only just over 5foot ha ha. I loved going through them and then discovering new ones. We did a good 7 miles and they told me there was a Thursday session up Kinnoull Hill. On Thursday I had quite a stressful day so I went out for a short lunch run to chase it away. I’ve run hills before and I’ve ran up Kinnoull Hill so although I knew it would be hard I didn’t think it would be that bad. We did a short warm up, all was good. The guy that leads it explained we were aiming for 8 laps of the zig zag route with 1 minute rest – cue a few groans and raised eyebrows. My first sign this was not going to be what I maybe anticipated. He then explained there was a fork in the route and we were to go left not right. I distinctly heard someone say the right was easier. My second sign. As we lined up to start I recognised the faster guys. They went naturally to the front, I hung about nearer the back. I may not have been expecting to be last but I’m comfortable being at the back. Off we went and the first lap was ‘OK’. I didn’t really feel I needed the 1 minute rest and it’s not something I’m used to. Think I took 45 seconds, possibly less. Near the top of the second one and it was tougher but I carried on. This time I took nearer the full minute rest, it was hot and my legs were showing signs of being grumpy. Sure enough when I got half way up the third I was beginning to feel my quads. Not great. Definitely the full rest after that one. I managed to get to 4 before the fastest guy came past me. And on the 5th the next one. By 6 my quads were in full toddler tantrum mode. That solid lead balloon feeling that just says ‘nope, I’m not moving’. Pretty sure I was going backwards at one point. 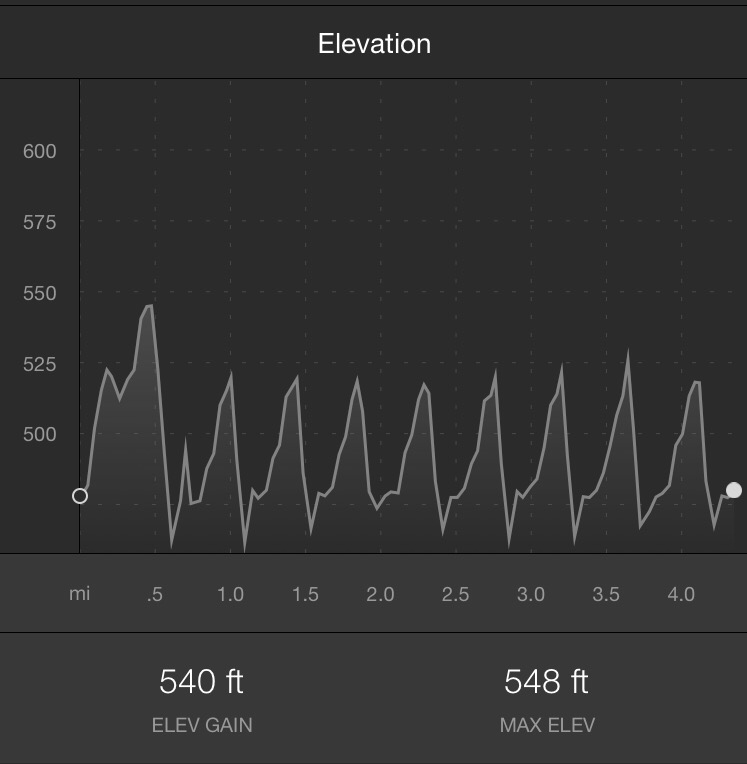 One of the faster runners asked me if this was my first time doing hill repeats. The only thing stopping me saying yes and never again was the fact I could barely breathe! However. We aimed for 8 and I managed 8. Not well but I did it. I was a sweaty, tired mess after it but oddly enough I did enjoy it. People were friendly, there was no pressure just encouragement and I didn’t feel like I wasn’t ‘good enough’. After speaking to a few people I headed home (windows down in the car to try and cool off!). Lesson learned not to run during the day if I’m doing that at night! The bootcamp sounds great fun though, can’t wait to do that next week. I’ve also got my local half marathon in 2 weeks and a 10k over the Forth Road Bridge the day after. Don’t think my legs are going to be talking to me for a while! 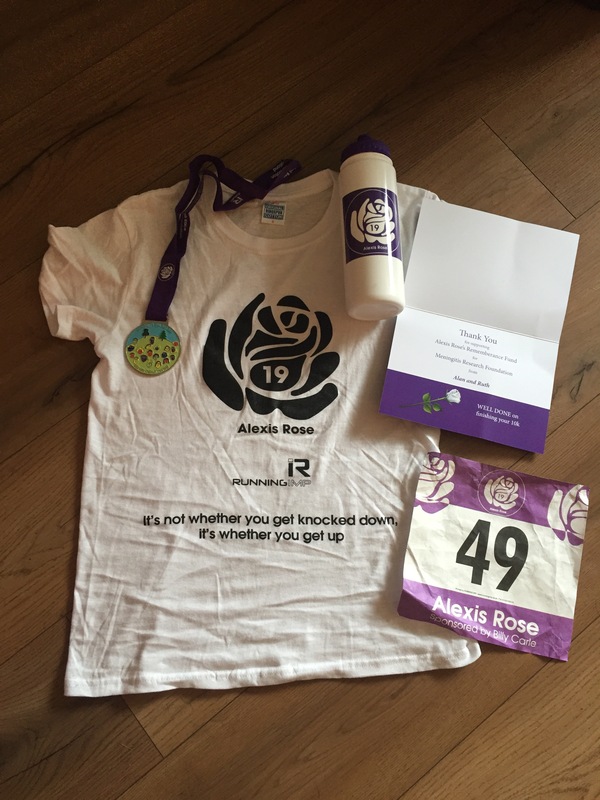 The title isn’t an exaggeration – the Alexis Rose Trail Race in Perth has the steepest of climbs, the sharpest of corners, the thinnest of paths and the fastest of downhill sections you could possibly imagine. This is not a PB course. If you think you’re in for an easy 10k then think again my friend. The fact that it is such a tough course is quite poignant when you learn the story behind it. Alan and Ruth Glynn lost their little girl, Alexis Rose, to meningitis when she was just 19 months old. Since then they have done nothing but campaign for awareness and fundraise for the Meningitis Research Foundation along with Alexis siblings – her brother, her twin sister and her younger sister. The trail race came about as a fundraiser last year and gained such a reputation that it is now a must on the race calendar. My husband and I both ran it last year so we knew it was hard. This year we volunteered to help out too so it was a very early start on the day. It was very windy and very cold on the hill, but, it’s a hill. It’s in Scotland. What do you expect? I must have had about 4 cups of tea before the warm up but there were portaloos there and guess what? They were brand new ones! As in never been peed in ever! I didn’t want to leave! Clubs were out in force for this race – it’s been added to the championship for my local town and whilst I still don’t know what that means I have interpreted it as ‘everyone does it and does it fast’. Well, as fast as you can on this route. There were quite a few other clubs there, all very friendly and chatting away. Not going to lie, I did smile a little when I overheard someone ask just how hard is it? The reply – add at least another 10/15 minutes to your best 10k time. My aim was to beat last years time. Out loud I wanted under the hour but in my head I wanted 55mins. I also wanted to beat my position from last year but as this was quickly becoming a popular race the competition was heating up. Joe was aiming for top 10 in his category. The start is basically a zig zag up. A steep zig zag up. From my position in the pack there was a couple of people walking before the first bit levelled out. 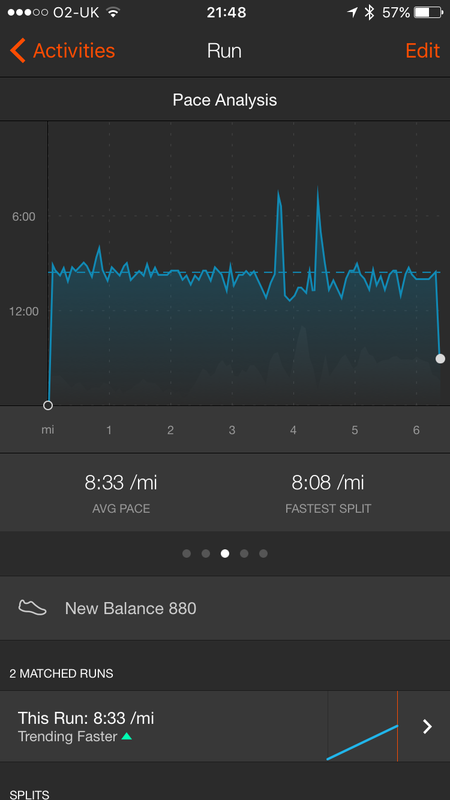 I managed to keep a steady momentum myself though and focused on using the brief flatter sections as recovery. Keep moving, that’s what was in my head. Joe as usual was out of sight as soon as the horn went but I had expected that. My watch buzzed at 1 mile and I was happy with what it said. Slowest first mile ever but again, another expectation. I was also no longer cold. Funny that. It’s a very marshalled course which I find fantastic. Not so sure that they do as I know I for one pulled a face followed with a comment of ‘what am I doing to myself?! ?’ at every one of them. In fact, pretty sure I even asked one of them for vodka and I don’t drink! They were very good though and you could hear the water station before you could see it which I absolutely loved. It was straight after a down section and then you go straight back up. And when I say straight back up, I mean practically vertical! Lucy’s Lane is the most challenging part of the course. Named after a survivor of meningitis it’s another part that is just a true reflection of the difficulties caused by the disease. It broke me, I won’t lie. I tried to run up it but when a women walked past me faster I gave up and walked as well. Damn her long legs. Just a little bit on at the top of Lucy’s Lane is one of the most stunning views. It took an awful lot of self control not to stop and take a selfie. Shocking I know but it’s truly gorgeous (and by the way I didn’t but I might next year). By 8km I was running beside a gentleman who I ended up having the odd joke with. When one of the marshalls said ‘almost there’ I replied ‘Are you sure??’. 2km on this course was beginning to feel like 4! The guy beside me remarked how he’d been on the marshalling side of things and you should never believe a word they say. He said this in fun but there’s an element of truth in there ha ha. If it’s a steep uphill start you know it’s a steep downhill finish. At last somewhere I can at least try and make up some time! I checked my watch. I would have to really push to hit my sub 1 hour target (55mins? Who was I kidding!). The thought of doing all of this and not getting in in under the hour was enough to make me keep going. There was a photographer just as you enter the gate for the zig zags but my eyes were focused! I was not going to fall but I was not going to take more than an hour! I was also not going to think how horrendous the photo he had just taken was going to be. Down the hill and through the zig zags and there was the finish line. Oh thank god. I couldn’t do much more. Across I went quickly glanced at my watch. It said 59mins. I was happy! I collected my medal/badge of honour and got my goodie bag too before collapsing on the grass. 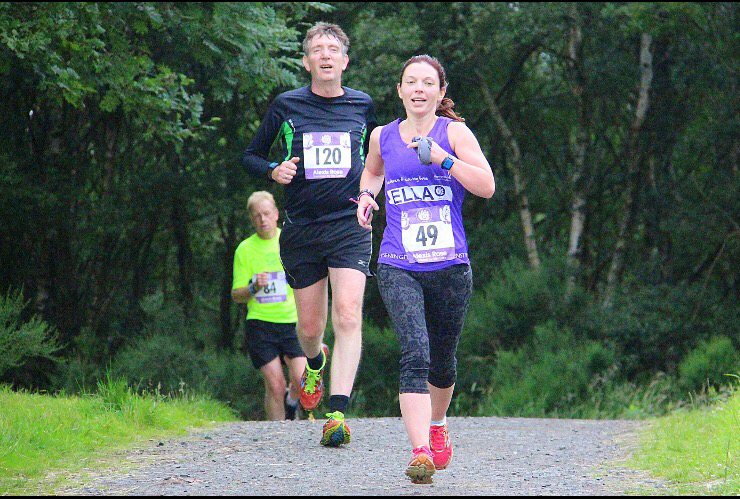 Joe had come in 10 minutes earlier and just 3 seconds behind the first women – she over took him right at the end. How does a female run that fast?!? Impressive! The Perth Road Runners dominated the race this year, winning all 4 trophies. First across the line was the guy who was also first last year. He retained his title and beat his time too. I still managed same placing as last year – sixth in my category – and I’m pleased with that. Unless they get a trophy for first mum of 3 across the line I doubt I will win one but you never know. There were 3 places where photos were taken. That’s a lot for a 10k race but who doesn’t love a race photo? Turns out the photo taken at the gate actually caught me with my eyes open too – that man deserves a reward! The event isn’t ‘perfect’ – I don’t think any event is. This is only it’s second year running and because I got involved I may be biased but I loved it. I met a woman who runs ultras and had brought the biggest flask of hot water I have ever seen. That cup of tea she gave me after the race was the best I’ve ever had. She’s also got me thinking about ultras but that’s a whole other story. If you want to do something that’s going to challenge you then do this race next year. No one finds it easy. It’s just not. It’s meant to be hard. 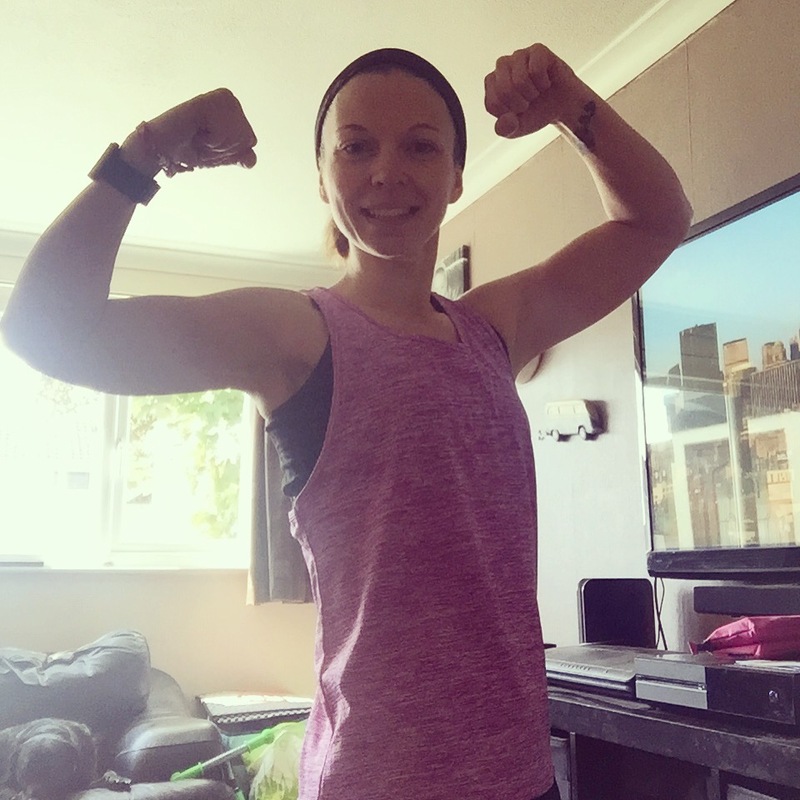 It’s not about getting a pb or clocking up another race for the year. It’s a challenge. 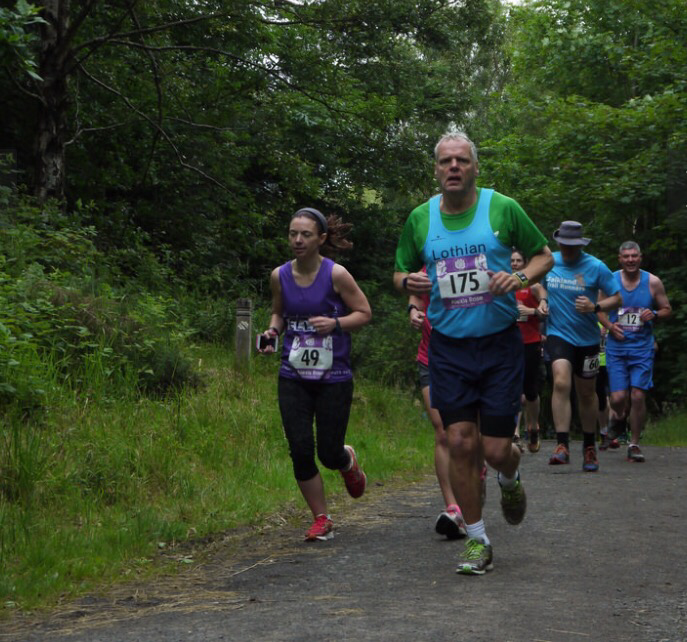 It’s the toughest 10km in Scotland. SPIBelt – A what belt? I love Instagram, I’m forever on it (tri.runner.ella), posting on it, hash tagging a hash tag, commenting on the new Pokemon go craze. So when someone I follow kept mentioning her SPIBelt I clicked on the hashtag and had a look. One thing led to another and I was very kindly sent one to try out and review! SPIBelt stands for Small Personal Items Belt. A belt that fits those things you really can’t leave at home when running like the front door key or a gel if you’re anything like me and have forgotten to eaten so need a boost! It’s essentially an adjustable strap that goes round your waist with a stretchy pocket. Sounds perfect right? I decided to try it out at Park Run this morning as I have no pockets in my shorts and dare I say it I drive there (yes I know, extremely shameful, I won’t tell you how close I live but if you squint you can probably see my house from one place on the route). So I always have at least my car keys and I take my phone as a safety net. I got the belt in light pink with the black strap and to be honest it goes quite well with my other brighter pink tops. It’s not in your face and demands attention which, for me, is a no no. At the start line and I put my keys in and zip up. I’m a bit worried it’s keys in a pocket and they are going to jiggle around attracting everyone’s attention so I know the minute that happens the belts coming off. The horn goes and we are off. I click my Garmin and focus on trying to beat last weeks time. 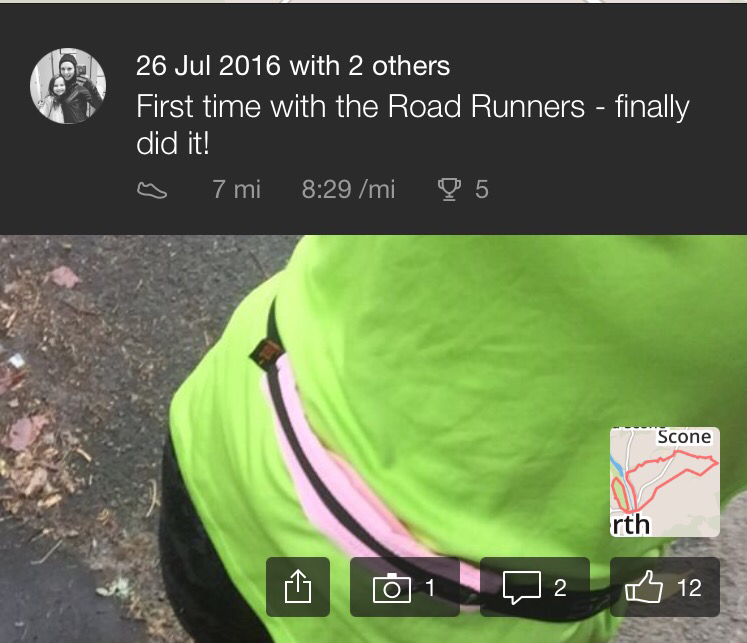 To my surprise it’s over a full kilometre in before I even remember I am wearing the belt! The keys are not jiggling, the belts not moving, there’s no rubbing – it’s all fine. A little further up a friends partner appears beside me and says hello. I self conscientiously put my hand to the bottom of my top to make sure it’s not riding up and my ‘mum stripes’ aren’t on show and it’s not! It’s not moved. On to the end and I thankfully do beat last weeks time, still not my best Parkrun but it’s getting there. Maybe next week ha ha. So the results of the SPIBelt are all positive. It’s comfortable, there was no rubbing. It’s not in your face so doesn’t make you feel a bit self conscious. The items don’t move around inside. It doesn’t pull your top up. I actually can’t find anything wrong with it. They are even surprisingly inexpensive – my husband may very well be receiving one in his Christmas stocking this year! I have a 10km trail race tomorrow so will test it out again on a further distance but I can’t see there being any issues. 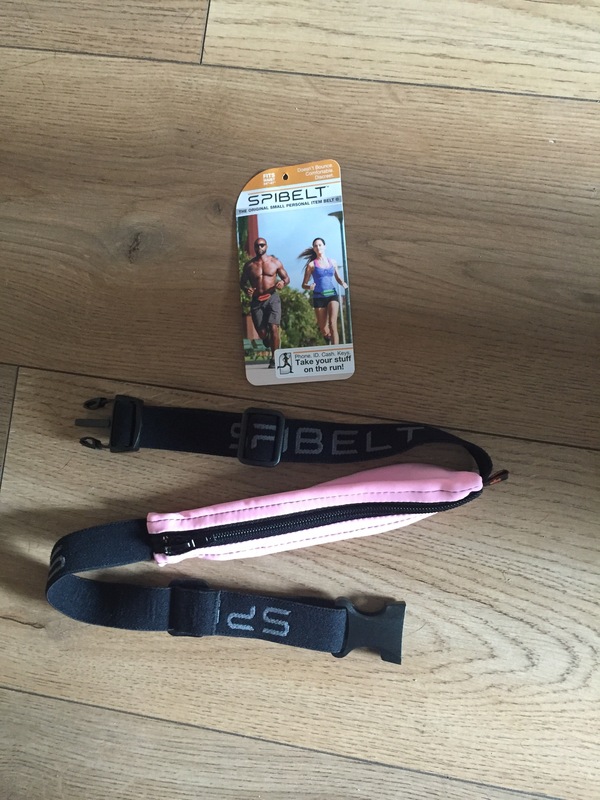 Check them out at http://www.spibelt.co.uk and check back on my blog too as hopefully I can get a discount code for you! 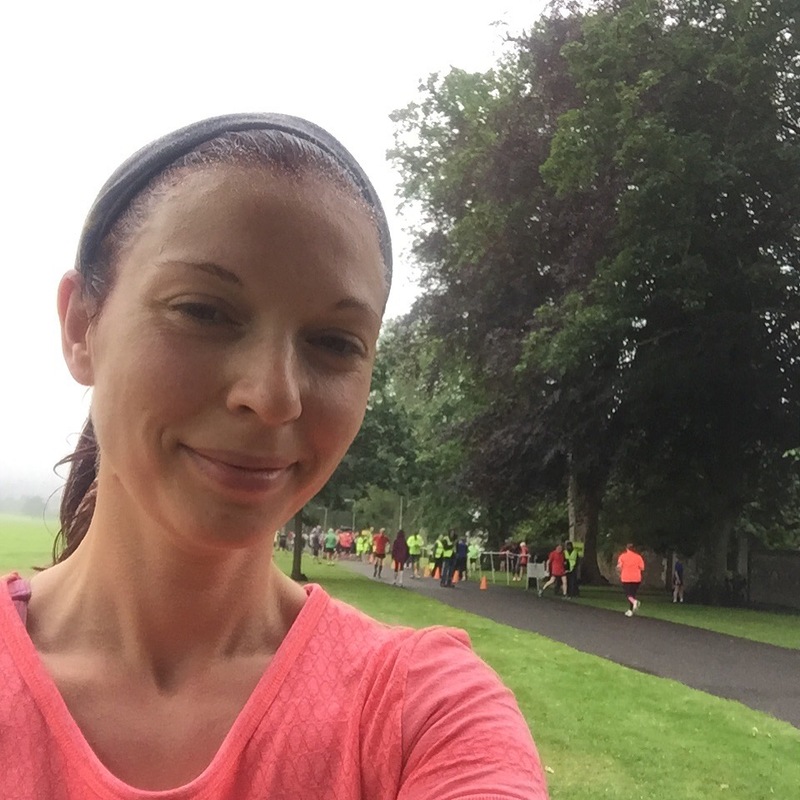 One of my personal goals this year was to finally drag my now slightly smaller behind to Parkrun. 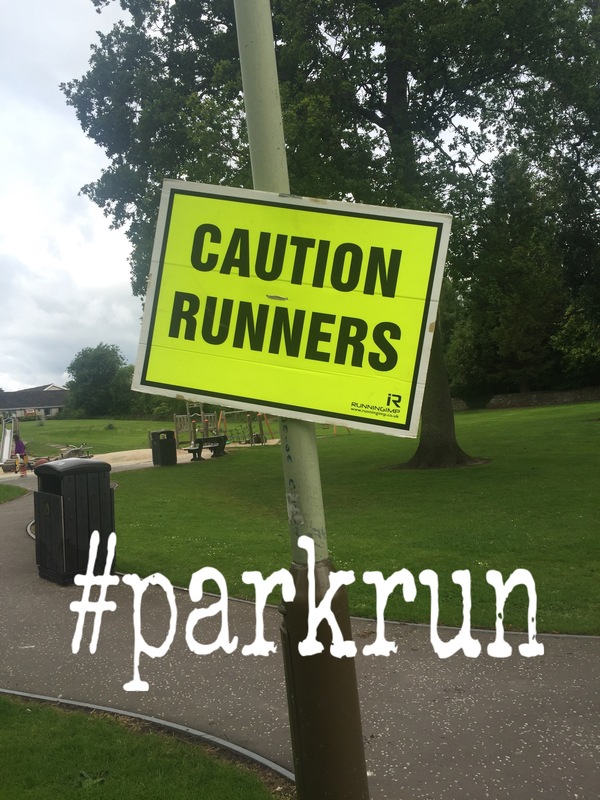 I had always found the concept of Parkrun a bit daunting – it may be fewer people than the usual type of event I go to but the chances of seeing someone I know are increased phenomenally and that in turn increases my anxiety. The very first time I went I was actually sick behind a park bench. It’s ok no one saw. I don’t think. However, ridiculous issues aside, I do enjoy it and I do try to go when I can. (I no longer throw up by the way). So this past Saturday when I discovered my other half was not working I decided I should go. I rock up just in time for the little de-brief. It’s raining but the course is ok just now, round of applause for the fabulous marshalls who will kindly be standing in the rain and a shout out to those doing mile stone runs. It’s not my best pace. My left hamstring is slightly niggly – I’m definitely feeling the ‘running on tired legs’ I’ve been told I need to practise. I try to keep up with a girl who’s usually about my normal pace but quickly decide not to risk pushing it and instead let my mind wander as I go along the river. It’s very therapeutic running in the rain along the trail, I do enjoy it. 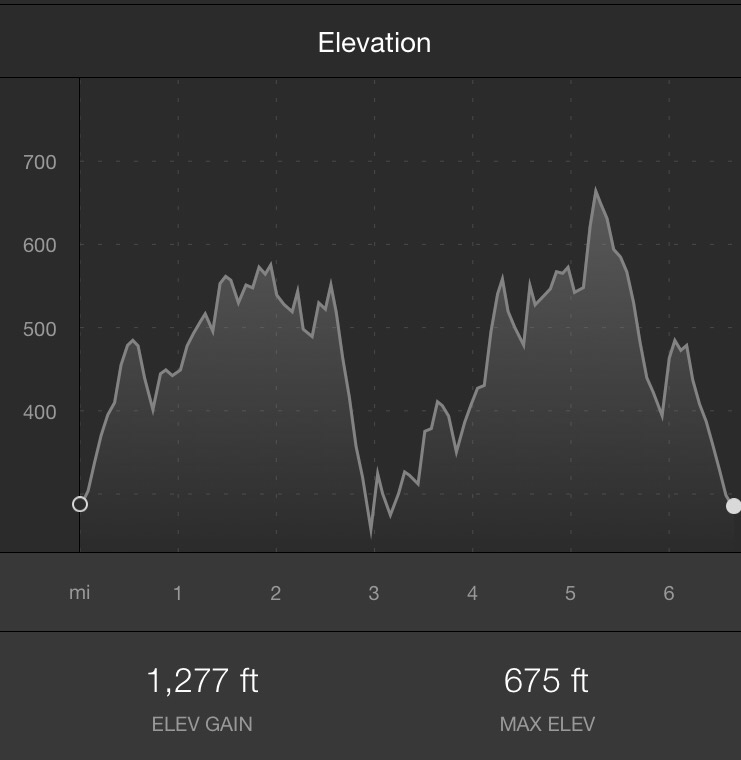 It’s an out and back route with a bit of an uneven section and my mind wanders to the trail race I’m doing next weekend. Now that’s a tough route! Back on to the concrete path and as I near the last 500metres an older gentleman comes up beside me and says ‘thank you for being in front of me, an inspiration to keep going’. I can’t help but smile and laugh a little. I ask him if this is where he takes off and does a sprint finish. He replies ‘oh I don’t think I have that in me’ but he does slowly pull in front. He reminds me of Rob on the TV show Stella. He’s wearing one of the Parkrun 50 T-shirts, red with the big ’50’ on the back. As I watch him near the finish I realise that, just a few months ago, I wouldn’t have been there, At best I would have had my earphones in refusing to make eye contact with anyone and staring at the ground, literally running off as soon as I had finished. And here was this gentleman too. 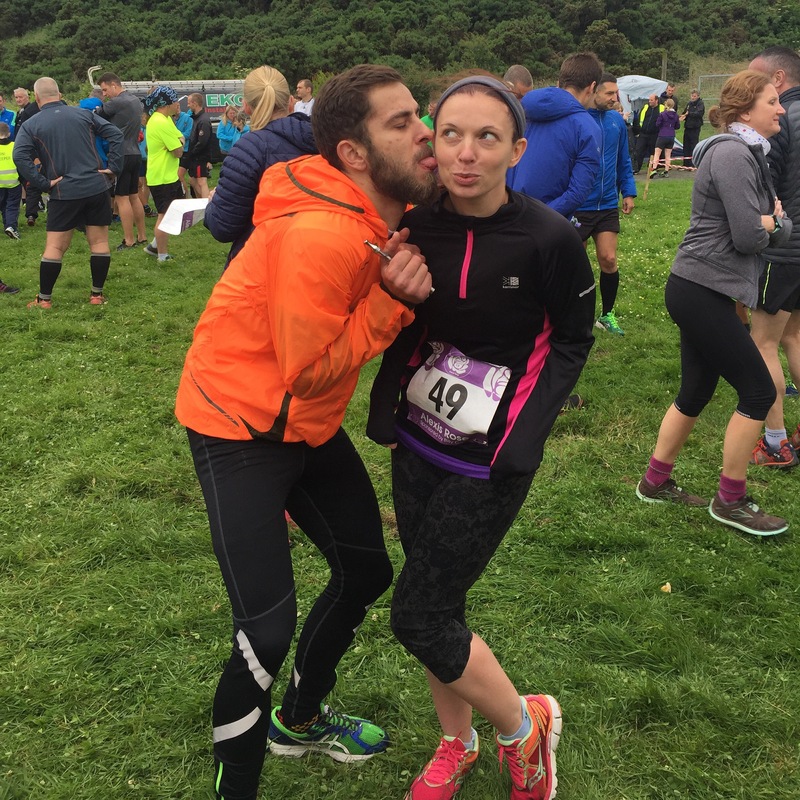 Politely speaking to me – a stranger – for more than his fiftieth time at a Parkrun. He may have said I had helped inspire him to get round that day but truth be told he inspired me to keep going with my goals. To continue to push myself out of my comfort zone and to continue doing what I have found I love – running. After I get my barcode scanned (very important, don’t ever forget your barcode!) I see him stretching his legs out before slowly wandering away, saying hi to several people with a friendly smile and I find I’m smiling too. I feel comfortable. This is why I love Parkrun. When I entered the Brig Bash 5 it was purely because it was local. Why wouldn’t I do a local race? 5 miles on a flat course just a few miles down the road. What’s not to like? Little did I know it was an actual race. As in competitor standards. It is part of Perth Roadrunners championship. At the moment this means nothing to me but I’m hoping to change that when I get up the courage to join them. All my ‘issues’ were gone by the day of the race (check precious blog ‘I’ve got issues man) so I was fit enough on the day, no excuses. It was a later start which I’ve never done before so the day was spent pacing up and down resisting the urge to go for a run and thus end up running on tired legs. Sensible hat was on. My husband even reminded me to eat something 2 hours before the start – which I consequently forgot but the thought was there, probably should have set an alarm. 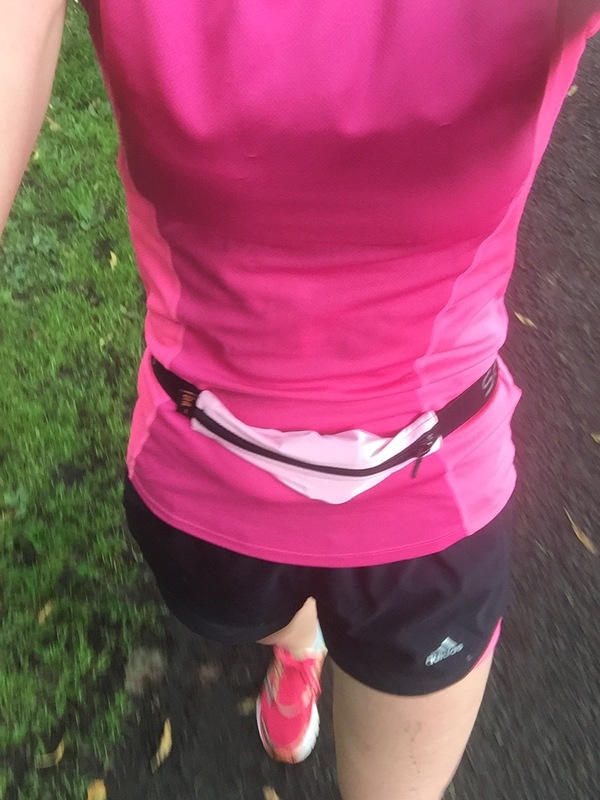 I had planned on wearing my new top which I have fallen in love with and my shorts which now seem surgically attached to me but it was a little too nippy for me so out came my trusty pink Nike top and black capris. I’ve also adopted a headband and lost the pigtails – seems I’m growing up! We got there early, and by early I mean on time. Quite a shock for us! My eldest even came along too for some fresh air. Let’s not mention the bribe. It very quickly became apparent that this was a very popular event for those affiliated to a club. Almost everyone had a club top on. Kinross, Dundee, Dunfermline – you name it they were there. Vegan runners too. In fact I only counted 3 other tops that were not club tops. I was out of my league. I knew I was going to be back of the pack but it was beginning to look like last of the pack. A few messages from my friends telling me to just shut up and get on with it helped me not dwell on it though. Thanks girls. There were a few friendly smiles from strangers which was nice and the general feel was exactly that – friendly. It was actually quite comforting. I had set myself a goal of under 40mins and as I waited I realised I would need sub 8min miles. Why I waited until 10 mins before the race to figure that out I don’t know. Off to the start line and it was a quick start. The finish line was clearly pointed out to us and we were reminded of the earphone rule – not that I saw anyone with them in. The horn went and we were off. As expected I was quickly being overtaken, I had tried to get to the back to start but ended up just squishing in as you do. There was a prize for the first person to hit 1 mile but let’s be honest, I was just happy not to be the last! I checked my watch and I hit it just over 7mins giving me a nice little cushion. There were loads and loads of marshalls all the way round and they were all cheering you on. It was great! Just before 2 miles I realised I hadn’t eaten enough – again – so I focused on the spread that was laid out for us at the finish. Sandwiches and cakes – that’s going to make me move! By 3 miles I was being passed a lot less and began to wonder just how far back I was. There couldn’t be many behind me now. Focusing back on my 40 minute target I kept pushing. Not long after that I heard the next set of marshalls before I saw them. For once I was glad I didn’t have earphones in, nothing like that kind of encouragement. On to the last mile and a last check of the watch and I knew I had to keep pushing. On the last stretch I inevitably came across those already finished and heading back to their cars but they were cheering on as well. ‘Go on lass you can catch her’ I heard at least twice and numerous names being shouted. I crossed the line in just over 39mins and collapsed on the pavement. I ran that race. I never really run races. I have a quick start but then settle down and take in the view. Not this time though. If there had been a medal it would have went pride of place on my board, safe in the knowledge I had given it my all! We didn’t stop for the feast in the end. Joe hadn’t had his tea and my son had been tortured enough coming to watch his mum run yet gain. Without doubt it was a great race and I will most definitely be signing up next year. And hopefully staying for the cakes too! There’s a bit of a debate going on in my house at the moment. 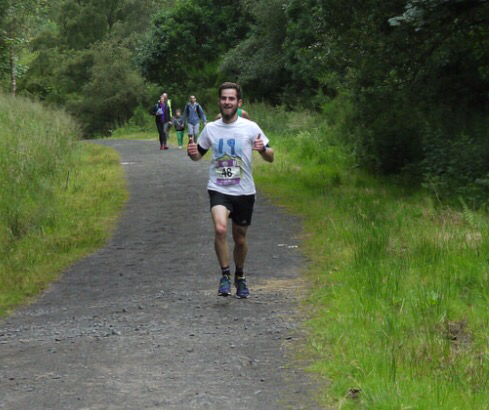 Joe and I are both signed up for Loch Ness Marathon and we are both training differently. Joes downloaded a very intense training plan from Garmin, which, in my opinion, is suitable only for those who have ran a minimum of 50 marathons already. Week 2 has him running for 2hours. He hasn’t ran a marathon before – or for that length of time before. He’s forcing himself to stick to it and he seems to be enjoying it. So far anyway. Me? Well, I don’t really have a plan per say. I’ve been given something for a week but I didn’t follow it properly. 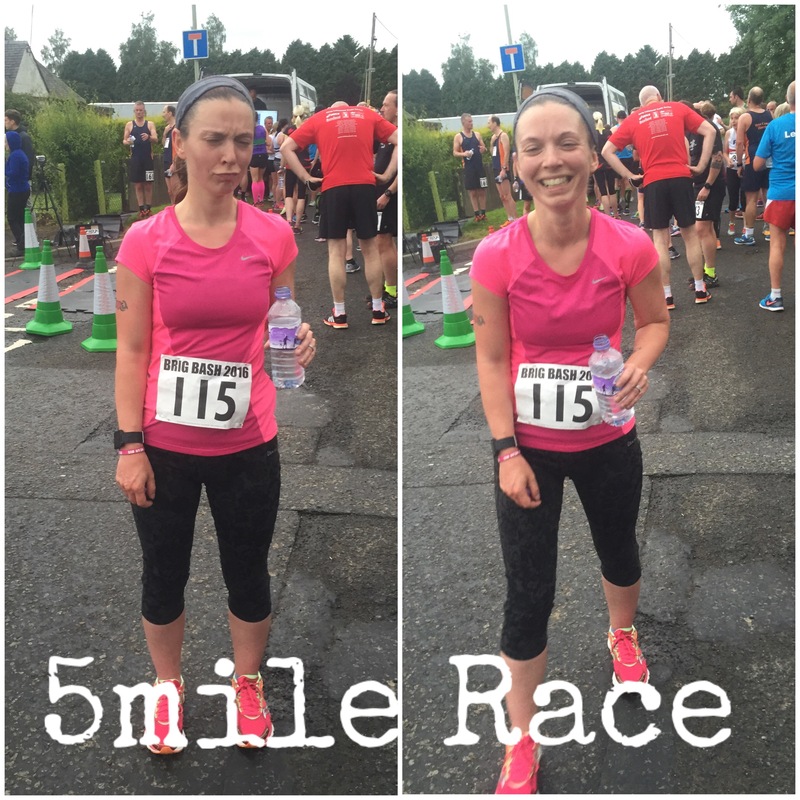 I was meant to do a hard 5km then the day after a long run but I did it the wrong way round. Maybe next week I will get it right after my race on Wednesday. I was going for a run. The only things I knew were the first song I was going to listen to and that I would need my jacket as it was raining. That’s it. I hadn’t thought about anything else. I had no aim. I just wanted to go for a run. Sure when I got out there I did a couple of sprint sections because the song was good and I really felt like going fast – that was until I remembered I really don’t like sprinting so 2 was enough. The vein was still popping out my head by the time I returned home. Not attractive. So who’s right? The man with the plan or the hippy who just wants to enjoy running? I guess we will find out on the day but until then, the debate goes on.